In my post of 5th April I published some of the pictures I took during my recent trip to Australia during which I visited some of the regions beautiful rain forests. Here are more pictures from the trip. 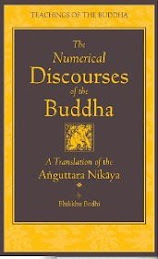 The Lalitavistara is one of the earliest attempts to write a biography of the Buddha although it only goes up to the First Teaching. It is in highly ornate Sanskrit and is full of fantastic details, in stark contrast to Asvaghosa’s much more sober Buddhacarita. 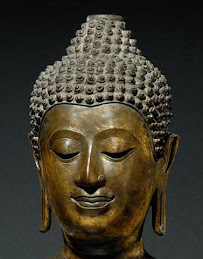 The Lalitavistara is an important work for the history of Indian literature although it tells us little of any historical importance about the life of the Buddha. It does nonetheless contain several interesting details about society at the time it was composed, probably between the 1st century BC and the 2nd century CE. 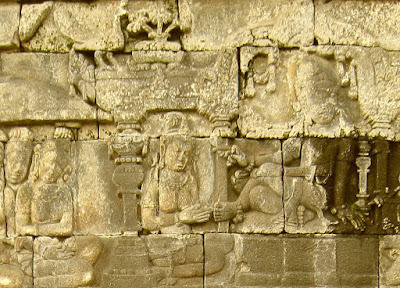 To me, one of the most interesting such detail is to be found in chapter twelve, which recounts Prince Siddhattha’s first encounter with Yasodhara, there called Gopa. Meeting her and being attracted to her he gave her his finger ring (anguliya). Apparently this was how a man, at least a high status man, expressed his wish to marry a woman at this time. Thus the giving of a ring would be equivalent to our engagement. 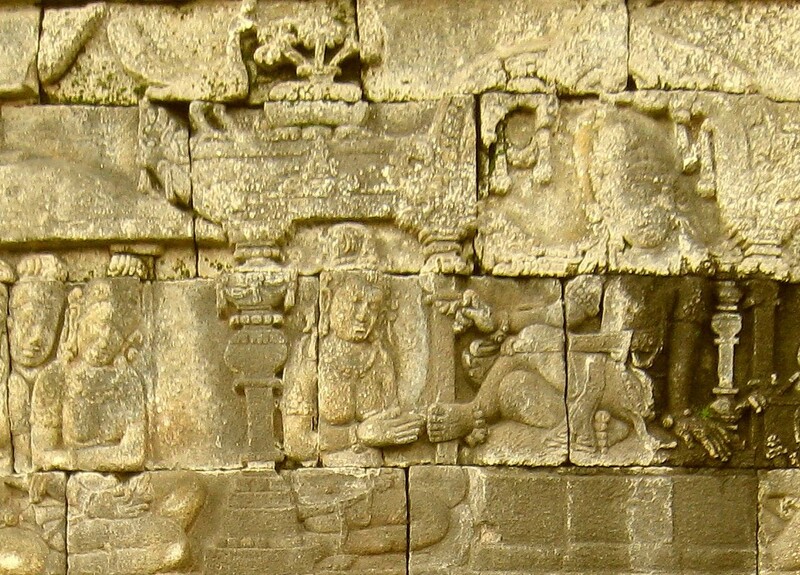 The accompanying picture is of this episode as depicted on the great Borobudur temple/stupa in Java. Finger and toe rings were used in India centuries before the Buddha. One whole chapter in volume II of Sir John Marshall’s Taxila (1951) concerns rings found during excavations at the famous site. In a footnote Marshall says that the Dulva (Tibetan translation of one of the the Vinayas) allows monks to wear rings made of base metals but not gold or silver. I have not been able to verify this but if monks in later centuries did wear rings they would have been signet rings; used to seal letters and documents and verify the writer’s identity. Wedding and engagement rings go back a long way in history. The Egyptians and the Romans used wedding rings. They were discouraged in Christendom for centuries because of their association with Roman paganism. That changed after 860 when Pope Gregory the Great decreed that as proof of nuptial intent the man had to give a ring to the woman. Thereafter engagement and wedding rings started to became common although conservative Protestants still shunned them, indeed all jewellery, well into the 19th century – i.e. the first Methodists, Mennonites, the early American Baptists, Seventh-day Adventists, the more strict Pentecostals, etc. Most of these sects have now given in to popular culture although I think Jehovah Witnesses, the Brethren and a few others still will not use wedding rings. When I was in India in the 1970s I thought of going to Afghanistan specifically to see the great Buddhas of Bamiyan. I had the time, the money and the interest. As it happens, I kept putting this trip off and in the end never got around to it. If the various schemes for resurrecting the Buddhas ever comes to pass; constructing copies, projecting some sort of hologram onto the niches where they once stood, etc. I probably won’t go. Looking at a reproduction of an original has always seemed to me to be rather pointless. For me, the great Buddhas that once fascinated the world but now they’ve gone for ever. Recently I browsed through the Llewelyn Morgan’s Buddhas of Bamiyan, (2012, 221 pages) which despite containing nothing new and being padded with a lot of the usual commonplaces about “the Silk Road”, is not a bad account of these great ancient marvels. The Further Reading section is excellent. The truth is that we know very little about the history of the Buddhas, certainly not enough to fill more than a pamphlet. The fullest account, merge though it is, of Bamiyan and its Buddhas is found in the travelogue of the famous Chinese pilgrim Xuanzang with a few extra facts included in his biography. “To the northeast of the royal city there is at a corner of the mountain a rock standing statue of the Buddha one hundred and forty or fifty feet high, a dazzling golden color and adorned with gems. To the east here is a monastery built by a former king of the country. Further east of this monastery is a standing statue of the Buddha in copper more than a hundred feet high. It is made of separate pieces which were then welded together. In another monastery two or three li east of the city there is a recumbent image of the Buddha depicted attaining Nirvana more than a thousand feet long. It is here that four times a year the king holds an assembly in which he offers everything from his queen down to the national treasury to the monks. When everything has been given he then gives himself to the monks and then his officials pay the monks a ransom to get himself and his queen back.” The second statue at Bamiyan was not made of copper as Xuanzang thought, but rather was sheathed in copper plates. In 2008 archaeologists announced that they had discovered the remains of the reclining Buddha mentioned by the pilgrim. There is a much defaced large sitting Buddha in Bamiyan too which Xuanzang did not mention; perhaps because it was built after his visit. He did mention however, that there ten monasteries in and around Bamiyan housing several thousand monks, two of them, Aryadasa and Aryasena, revered for their deep learning. When Xuanzang first turned up in the city, the king and the inhabitants were amazed to that he had come all the way from China and they treated him with great hospitality and guided him around all the sights. 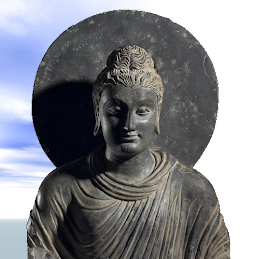 Parts of Afghanistan were conquered by Arab armies by the end of the 8th century but in eastern region Buddhism may have lingered for another 300 years. 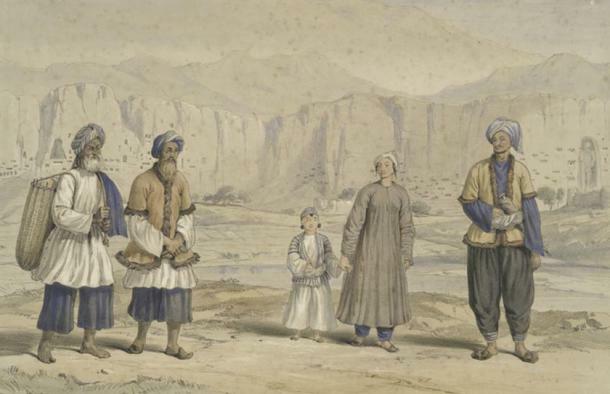 Arab sources speak of Bamiyan being “converted” at least three times: in 754-75; again in 775-85; Then in 870. An Arab strongman captured the city and sent as loot “fifty idols of gold and silver” to Baghdad, suggesting that the monasteries were not surviving but thriving at that date. Even in an inscription dated 1078 a local official was able to describe himself as a “monastery keeper”. What finished off Bamiyan’s Buddhism was the Mongol invasion of 1221 which left not just the city and the monasteries but the whole region devastated. The Taliban were not the first people to try to destroy the Buddhas, Islamic iconoclasts had been hacking away at them for centuries. The Emperor Aurangzeb ordered cannons to blast the statues as did a later Persian king in the 18th century. Both attempts damaged but did not destroy the statues. In 1847 the then king of Afghanistan succeeded in having the faces cut off. Holes were made in the front of the heads and wooden pegs were hammered into them until finally huge slabs with the facial features on them split off and crashed to the ground. The only reason the images were never completely destroyed was that they were simply too big. 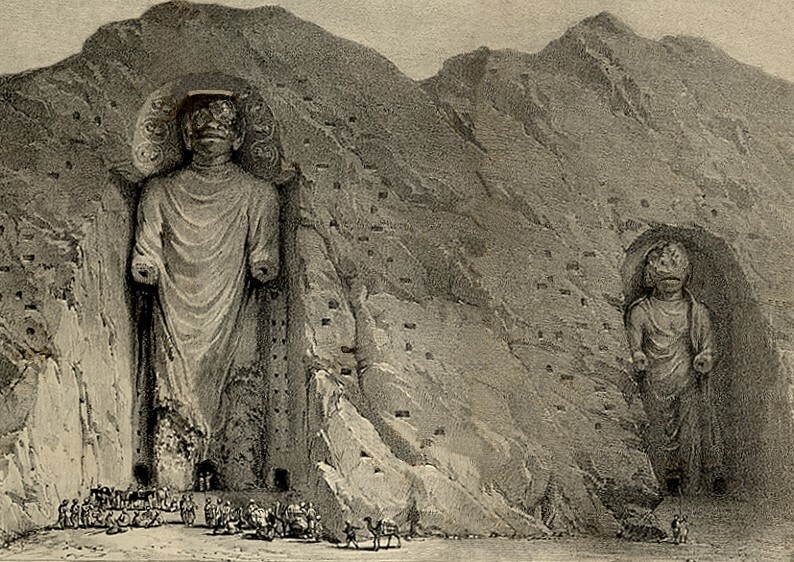 While I think that the final destruction of the Buddhas of Bamiyan was a tragedy from a cultural and archaeological point of view, I don’t think it was significant as far as Buddhism is concerned. I am not a great fan of big Buddhas. 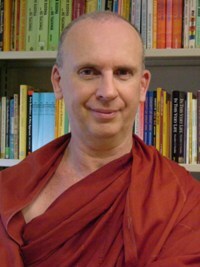 I consider them a waste of resources that could and should be better used for Dhamma activities. 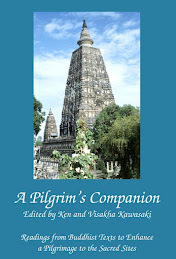 Grandiose monuments are no substitute for projects to clarify and promote the Dhamma.